Dad's narratives of his childhood years in the village. M y dad was born and grew up in a small village near Ancient Messini where the main occupation of the inhabitants is the cultivation of the olive tree. So my dad is an olive-grower and his memories are intimately linked to the olive tree and the olive. As a toddler, he remembers his father entering his house in the evenings exhausted but full of satisfaction after having planted new olive trees. Every time his father completed the planting he took him by the hand and showed the trees one by one something that made him feel proud and incredibly happy. He took care of them as if they were little children so that would one day grow up and produce the blessed olives. What a beauty it was to see the trees blooming! When the "harvest" of the olives began, the whole village was transformed! All the inhabitants rushed early in the day to the field leaving the village literally deserted! But the afternoons ... They happily returned with the harvested olives and went straight to the olive press. There were voices, laughter and teasing! Wherever you were, the air was saturated with the aromas that came out of the freshly pressed olive oil. When this oil was brought home, my grandmother used to bake slices of bread and poured the fresh oil on top and offered it to all of us to eat. I waited for this moment with impatience! The taste and the smell were indescribable. The blessed tree had once again given its green, liquid gold. My father also remembers his sweet mother making olive oil soap. There was a whole ritual. With a prescription that was lost in the depths of the years, she made soap for the face and hair. It was the best natural cosmetic. She actually had a white complexion and glossy long hair. She also made soap for clothes. "With olive oil soap the clothes become whiter," she said. So many memories! So much beauty! Every time he tells stories, his eyes shine with joy and nostalgia. Cultivation and production practices have now become modern, but the love and care that the inhabitants put in are still the same. These practices are inherited from father to son. 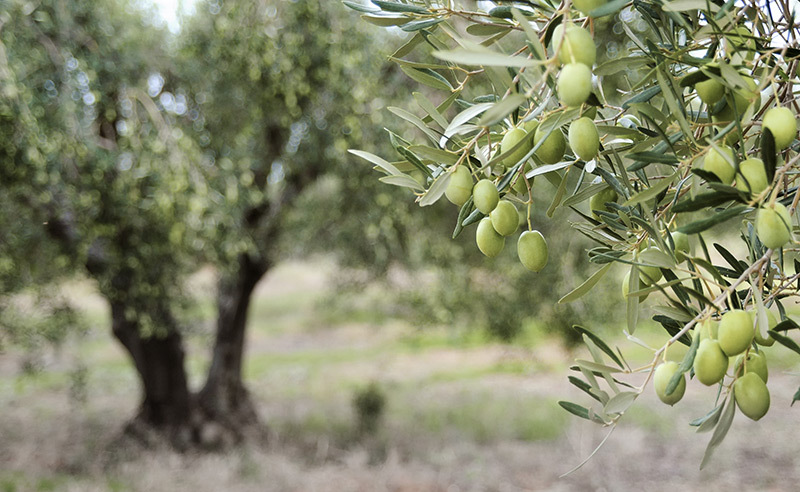 The olive trees cover all the cultivated land and are taken care of as if there are part of the family. We at the Vourakis Company want to relive all these fond memories and have dared to get out there and take you on a journey with this treasured olive oil that we grew up with. We want to spread the word beyond our local territory while sharing the same love and respect that my father is putting in the cultivation. This is how the Ismenian extra virgin oil was born. An olive oil full of flavors and aromas. An olive oil with history!